Do you know about the additional summary care record? 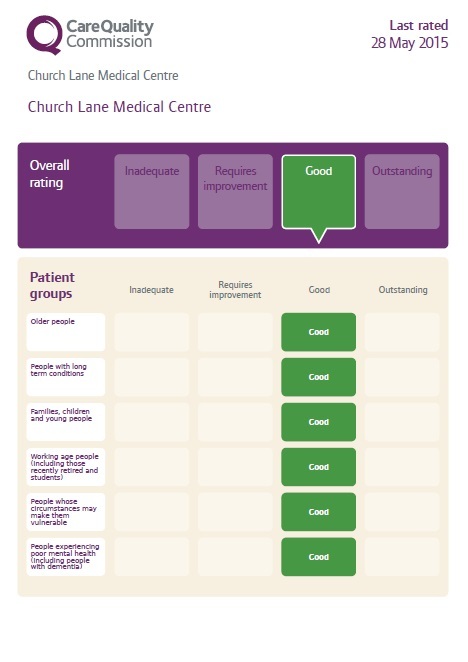 This is a detailed snapshotof your health record that can be seen by health professionals in urgent care settings. 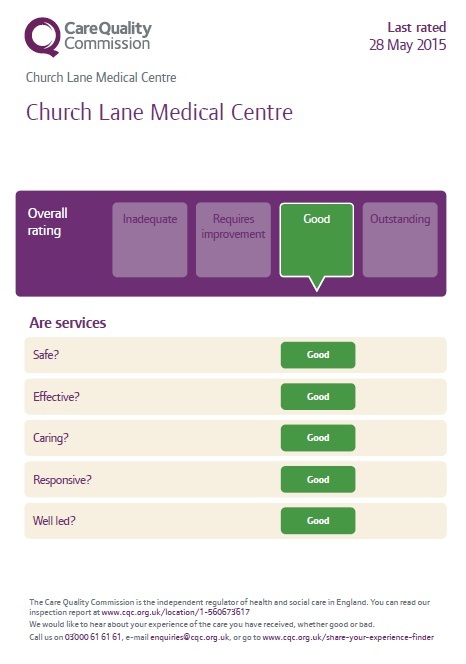 The widget below provides a summary of the results of the latest checks carried out by the CQC. Help us improve your practice, take the friends and family test. The surgery is suitably equipped for disabled patients with easy access, disabled toilet, designated parking and a wheelchair available on request.